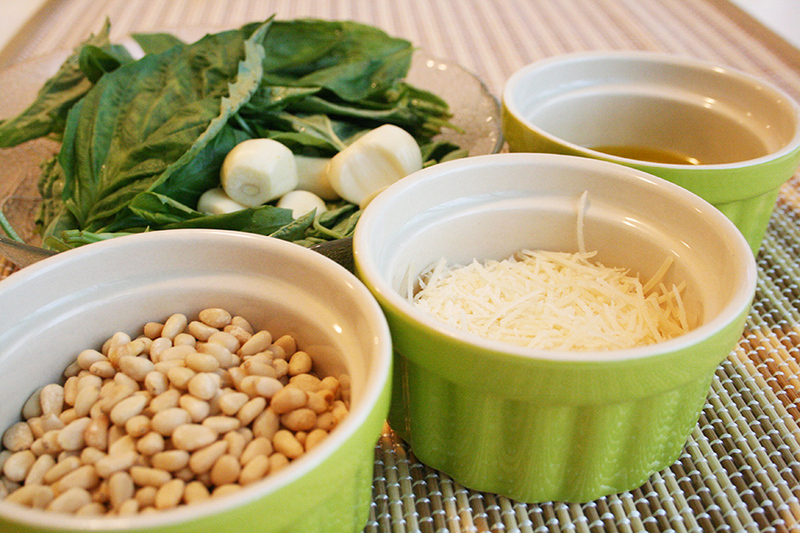 It’s deceptively easy to make. 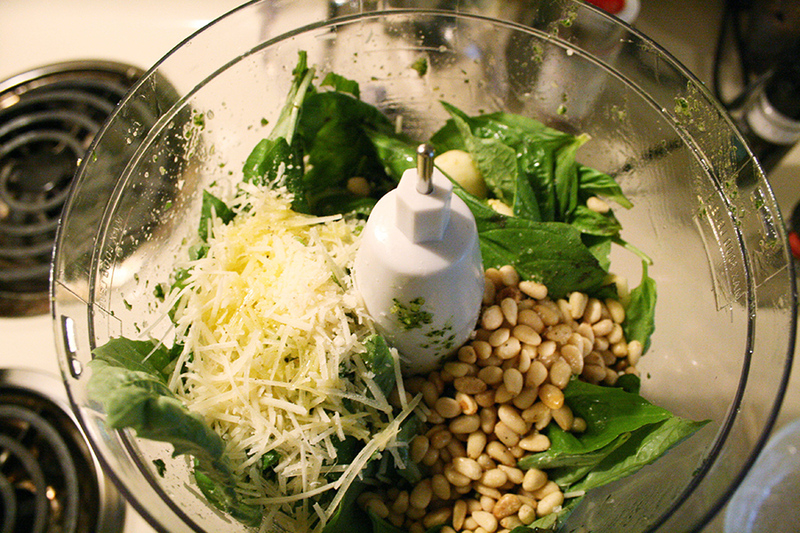 In a food processor (my new obsession), throw fresh basil, parmesan cheese, pine nuts and garlic. 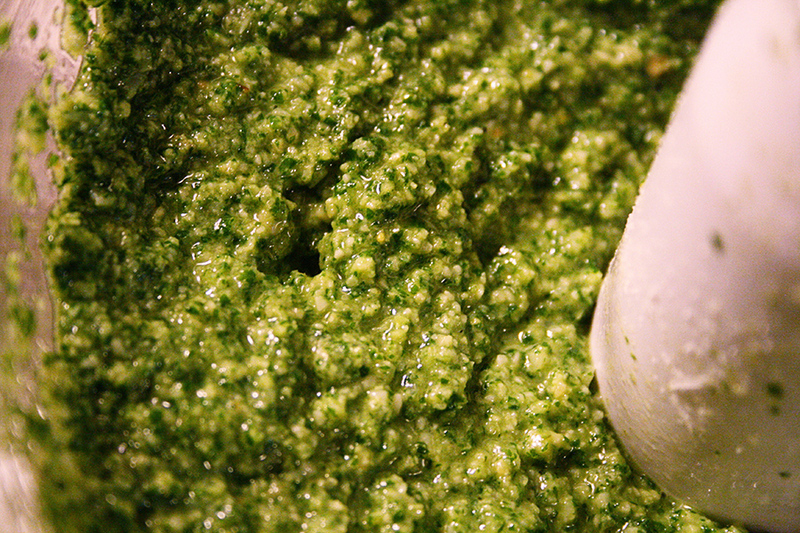 Drizzle in some olive oil as you go to make it the consistency that you want. When it’s all blended together, it’s very vital to taste it. Try it a bunch of times to make sure that you really like it. And then try it again. Maybe once more. Look at how beautiful that is. 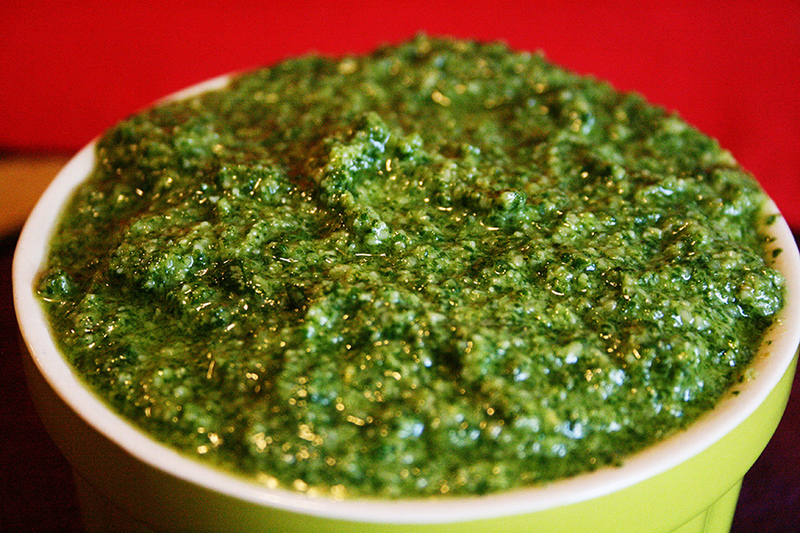 It makes me want to eat heaping spoonfuls of it. So delicious. 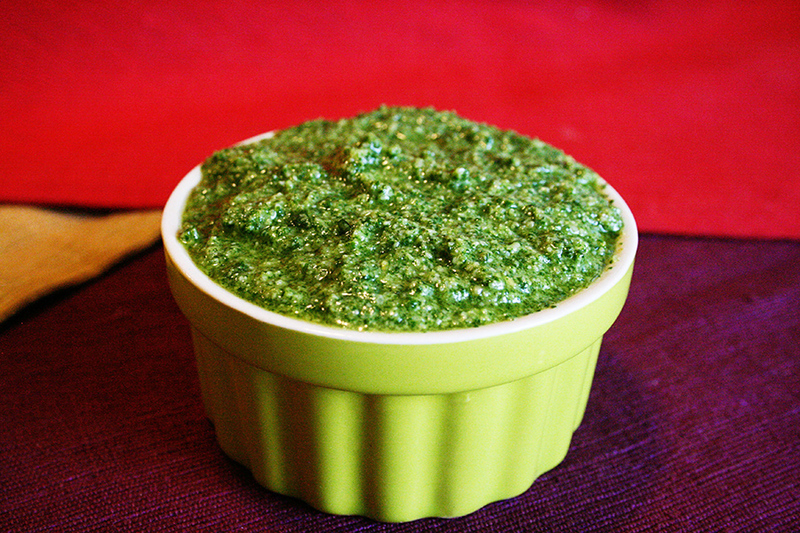 Oh, pesto, mi amore. How I love you so.